← The Underbelly of Social Media. I realise now that I am lucky enough to have experienced the lecture-hall style of University education – I don’t think it’ll be around for much longer. My current degree, and my previous one, have both been conducted mainly online – or ‘off-campus’ in uni-parlance. Not only have I passed, but I believe that I have achieved a higher level of learning because of the flexibility that comes with having a greater level of control over the when and how I learn certain parts of the curriculum. I have a full-time job and two young children – sometimes it is easier for me to work on problems or contribute to a discussion at odd-hours (read: after dinner and bath-time). Online delivery of the coursework allowed this kind of flexibility. For my teaching degree, I still had to attend on-campus tutorial groups and lectures once a week. This was easy to manage knowing that I had the rest of the week to complete the wider reading, assignments, etc. There is, of course, some parts of any degree that simply cannot be delivered in an online medium. 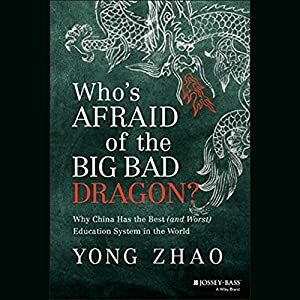 By changing the model of teaching and learning that has been in place since the 1400’s, similar, if not vastly improved, outcomes could be achieved by students. Whilst I value the quality of online tutorial programs that currently exist (and use them in my own teaching practice), I do think that there is room for institutional involvement in creating a database of lectures & tutorials. In my mind I picture a kind of ‘Group of 8’ (perhaps with a more International flavour) approach to creating and sharing this type of content. Time ‘on campus’ is so much better spent undertaking small group work, practical investigations and the hands on learning that cannot be reproduced online. This type of practice reflects the changes occurring in lower levels of education (albeit slowly) and in the globalisation of the workforce/industry. It would be erroneous of Universities to ignore this growing trend towards online education. This movement will not end the existence of University education. The ‘piece of paper’ with the stamp of a prestigious University will still carry the weight of a traditional and quality education. However, we are seeing a higher level of digital engagement among students in the developed world and in an environment of greater competition, traditional ‘bricks-and-mortar’ universities could do well to reach into this emerging market and seize the initiative.